Pictures of the Soviet Space Shuttle in its hanger have been making the rounds on the internet recently, but there’s another shuttle out there. 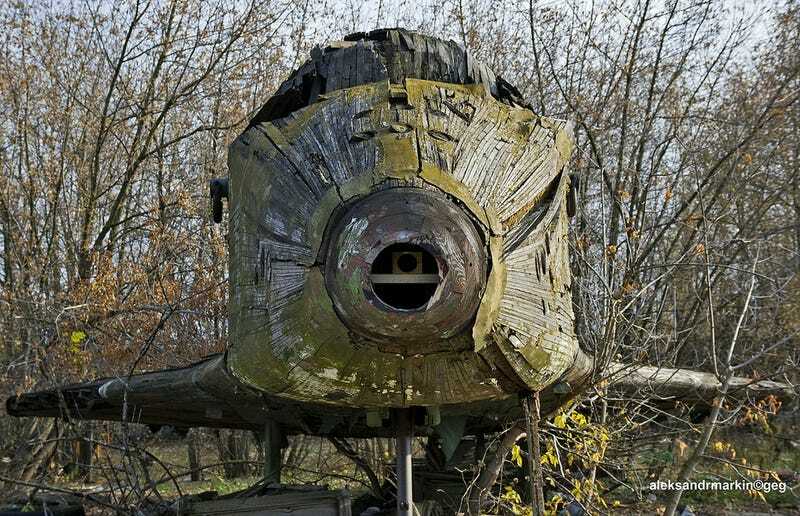 Russian photographer Aleksander Markin came across the remains of the original wooden model, used for wind tunnel testing. The pictures were uploaded back in 2013, and show off the 1:3 scale model of the Buran Space Shuttle, rotting away in the elements. The scale model would have been used in a wind tunnel to figure out how the final spacecraft would fare returning to Earth. As of a couple of years ago, it looks like it was abandoned alongside the rest of the shuttle program. It’s a bit of a shame to see that these items haven’t been preserved: they’re an interesting note in space history.